The SunBriteTV Veranda 55” UHD Outdoor TV is perfect for viewing shows and movies while enjoying the breeze and beauty of the outdoors. The Veranda series is a collection of weatherproof TVs that are designed for full-shade situations (covered patios, screened-in porches, etc.). Veranda outdoor TVs offer serious durability and safety features for outdoor use. 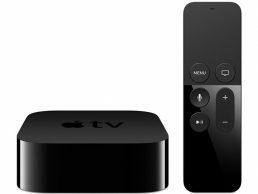 This TV includes a premium direct-lit 4K UHD screen, which is brighter than typical indoor TVs for excellent outdoor view ability. It also includes built-in down-firing speakers. 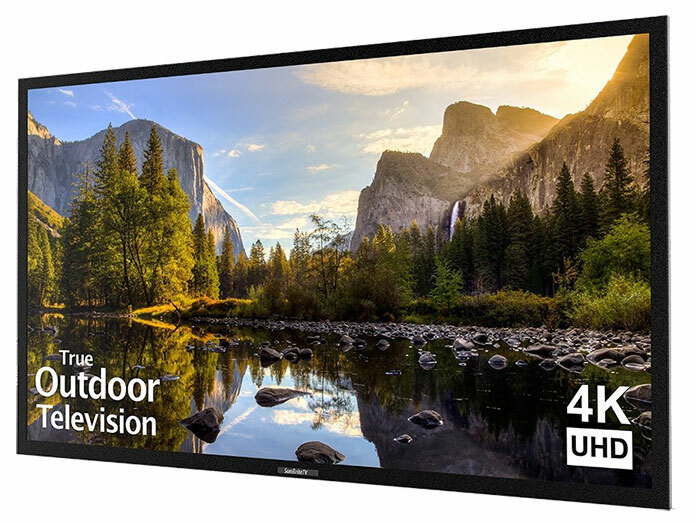 SunBriteTV is a top manufacturer of high-quality outdoor televisions, and the 55″ Outdoor TV 4K Ultra HD Veranda Series is one of their most popular models. The weatherproof Veranda Series provides a durable TV that’s safe for outdoor use. 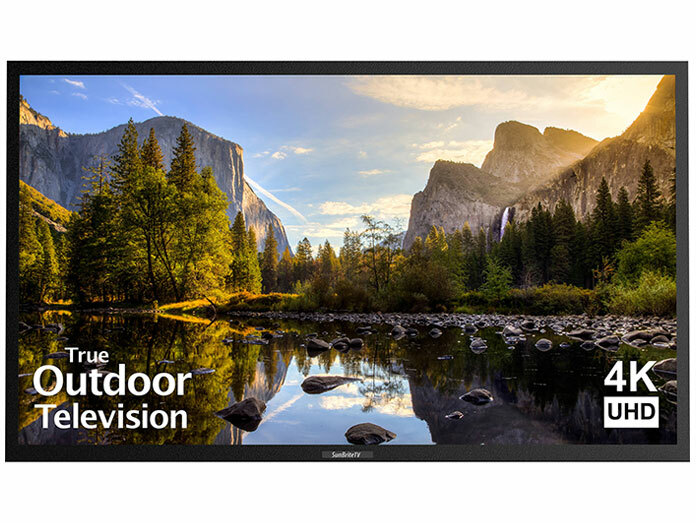 It’s an affordable way to enjoy a bright-screen 4K UHD outdoor television in fully shaded, covered outdoor spaces. The Veranda Series is available in three screen sizes (43”, 55” and 65”) and comes with a premium direct-lit 4K UHD screen. The screen is brighter than indoor television screens, for easy viewing in outdoor conditions. Ideal for use in covered or screened environments like a covered patio, garage, or covered deck. This TV is designed to stand up to the elements and extreme temperatures (from -24° F to 104° F), as well as humidity and insects. At the same time, this TV provides a high-quality viewing experience for you and your family and friends. 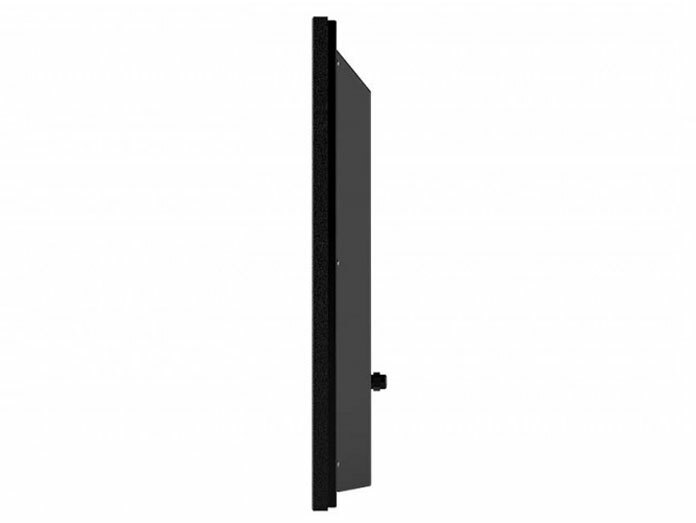 A rust-proof, powder-coated aluminum exterior provides extra durability. 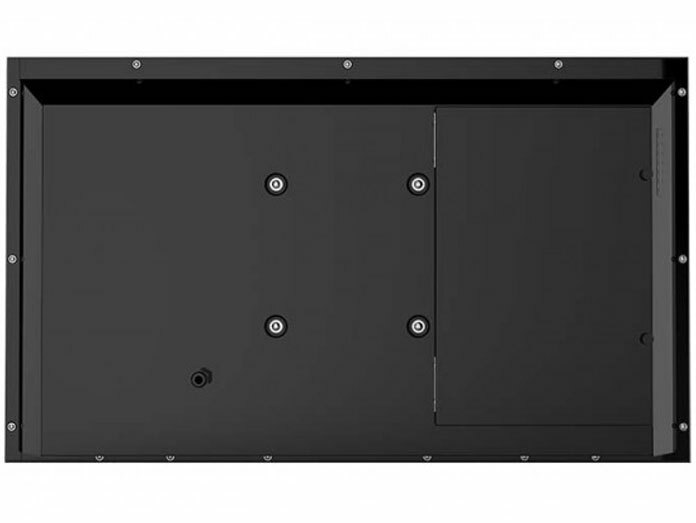 Includes a large media bay with room for media players as well as an installer-friendly cable entry system. This high definition. outdoor TV also includes built-in, all-weather, down-firing 20 WATT speakers for optimal sound. You can also pair it with your own outdoor audio system. Free one-year parts and labor warranty. 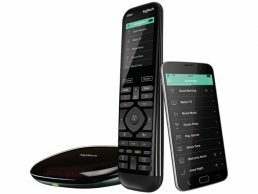 Includes a weatherproof remote control and a Quick Start Guide. 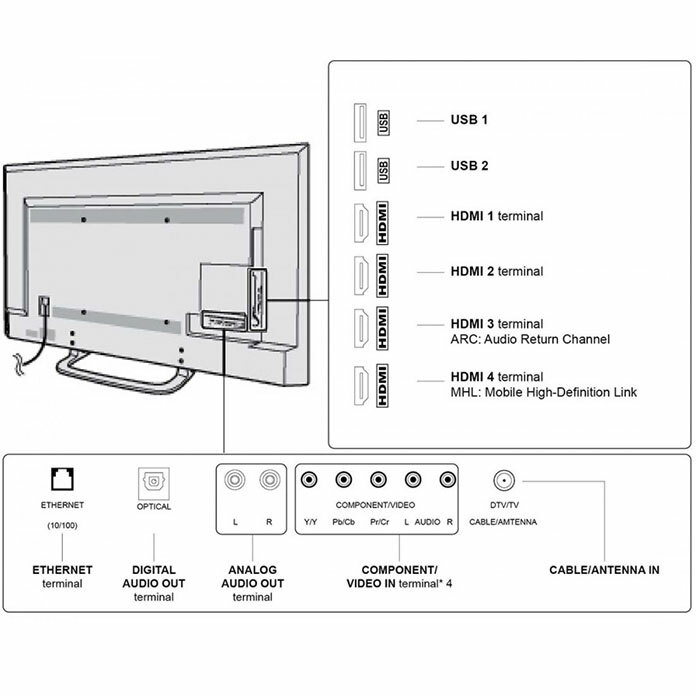 Media bay connections on back of the TV. Screen Size: 55 inch LED – TV looks great under full to half shade. See picture. 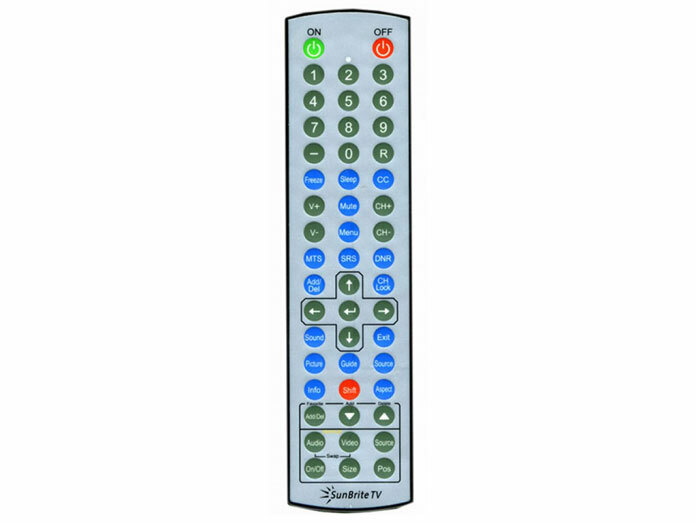 Accessories Included: Weather proof remote control – Upgrade to universal remote here. Pictures we have taken while installing a SunBriteTV (SB-5574UHD) locally in Greenville, SC. 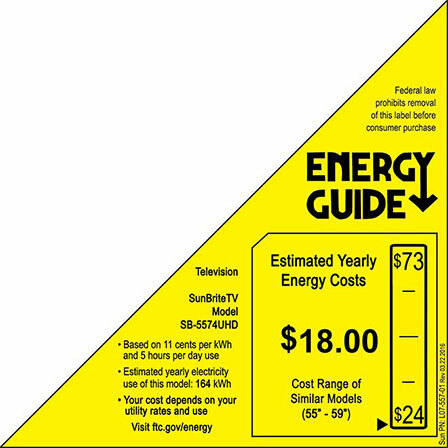 Estimated yearly energy cost is only $18. 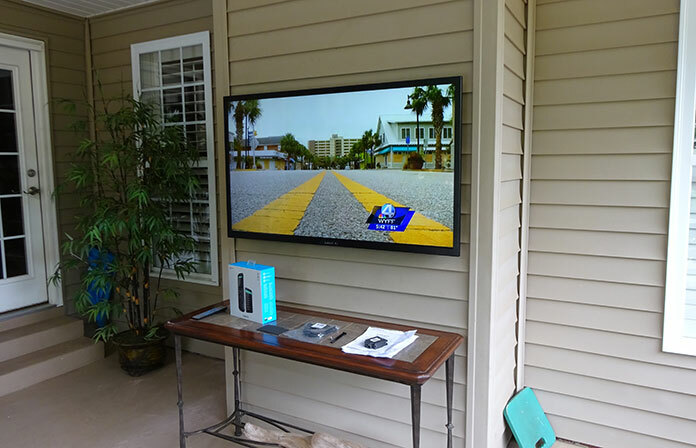 I don’t own one of these 55 inch SunBriteTV’s but we’ve sold and installed numerous of these outdoor TV’s in Greenville, SC. The picture on these TVs outdoors look Amazing. Very durable TV’s. Lots of good reviews from our clients about these TVs. One of the most common reviews is they’re glad they spent the extra money and now they don’t have to worry about keeping the TV covered when not in use. These TVs look better outdoors than regular TV’s. What Makes Yamaha Aventage Better?